Briton 5410 DIN Euro Deadcase has single piece forend in grade 316 stainless steel with satin finish simplifies preparation of doors. This lock is available in a choice of round or square ended forend. 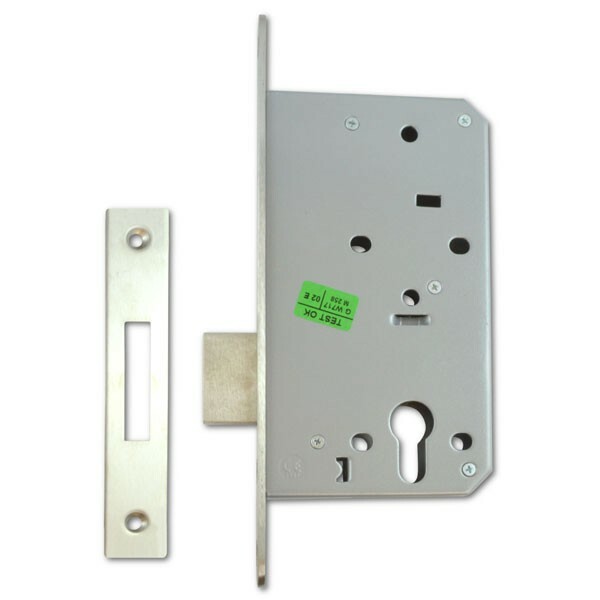 The deadbolt can be thrown and withdrawn from one or both sides as required depending on the cylinder selected. 20mm double throw bolt from 2 turns of the cylinder offers high levels of physical security.